Who’s Managing BigLaw Alternative Staffing? 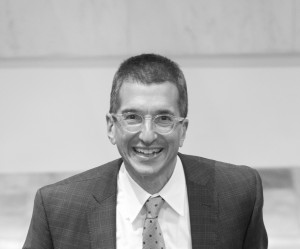 Ron Friedmann is the author of ‘Who’s Managing BigLaw Alternative Staffing?’. Ron, one of the most prolific and respected commentators on legal services in the US, has authored Prism Legal the Strategic Legal Technology Blog since 2003, making him a pioneer and pathfinder in legal services. Ron describes himself as “a non-practicing lawyer at the intersection of law practice, business management, technology, and alternative legal services delivery.” With his permission, I am delighted to introduce Ron to members of the Remaking Law Firms community on Dialogue by re-publishing ‘Who’s Managing BigLaw Alternative Staffing?‘. Here’s the text of Ron’s May 30, 2016 post. Altman Weil’s recently released 2016 Law Firms in Transition survey is good reading for all law firm management. For me, the questions it raises are the number of non-partner track lawyers and who’s managing BigLaw alternative staffing? Widespread use of non-partner track lawyers in Big Law (beyond for document review) strikes me as relatively new. To confirm this impression, I reviewed past surveys. Altman Weil first asked this question in 2014. Answers from 2014 are roughly the same. Though the incidence has not changed, I think it says something this question first appeared only in 2014. We see evidence of the rise of KM, LPM, and pricing in the growing numbers of Chief Knowledge Officers and Chief Practice Officers titles and in numerous events focused on these topics. Alternative staffing, like KM and LPM, do not “really challenge the way work has been done traditionally”. On that basis, its high incidence is not surprising. But if alternative lawyer staff are as prevalent as the survey suggests, why don’t we see the rise of senior staff and events focusing on it? More fundamentally, who in BigLaw decides how many the firm should have and how they are managed? Earlier this year, I poked around the web and reached out to several contacts to explore this question. I only found a bit of information. My guess is that use of non-partner track lawyers is widespread but not deep. That is, many firms may have a handful, but few have big ranks of non-partner track lawyers or systematic programs. Is my guess correct or am I missing something? If I’m not missing anything, then will we soon see increasing numbers of such lawyers and a more visible infrastructure to manage them? Ron’s post raises and points to many talent-related issues that are crucial to the success of BigLaw firms in remaking their business models. These include continuity of supply, quality assurance, continuing legal education, risk management and more. The Altman Weil survey findings are of course US-based. Replica surveys in the UK and, to a lesser extent, in Australia would show a more pervasive and faster-growing trend to the use of variable cost lawyers by BigLaw firms. 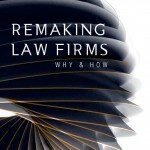 Chapter 10 on Sourcing and Outsourcing in Remaking Law Firms: Why & How addresses this topic, one of the key elements in the remaking recipe. Thank you to Ron for adding the richness of the discourse on this subject.